The Pettifor Trust is an animal charity set up in 2004 which is devoted to the welfare of animals. The Trust generates funds to give to animal charities that are independent and based in Wales. The Trust's aims are to support charities in Wales with financial donations to make sure animals are looked after well and properly. The trust relies on funds from our supporters to be able to help the animals across South Wales. Funds are raised through our two charity shops in Swansea. All the goods are kindly donated by our wonderful customers who support us on a regular basis. 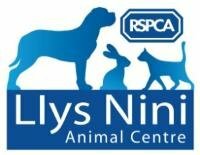 We also rely on funds raised by people who have been touched by animal cruelty in Wales and therefore organise events to raise funds for a specific animal or for animals food or equipment.